Good news for users of Costa Rica’s public health care system: Starting in August, the Social Security System, or Caja, will have a new link on their website (www.ccss.sa.cr) for patients to schedule appointments online. In a first stage of the project, the digital service will allow patients to make appointments at 40 of the Caja’s 103 hospitals and community clinics, or EBAIS, throughout the country. The remaining hospitals and clinics will be brought online shortly after, according to José Manuel Zamora, a coordinator of the Caja’s Digital Medical Records project. “We don’t yet have an exact date for the system’s launch, but we hope it will take place during the first two weeks of August,” Zamora said. The system was scheduled to begin operating in mid-June, but it was delayed “for technical reasons” and to plan a publicity campaign, he said. 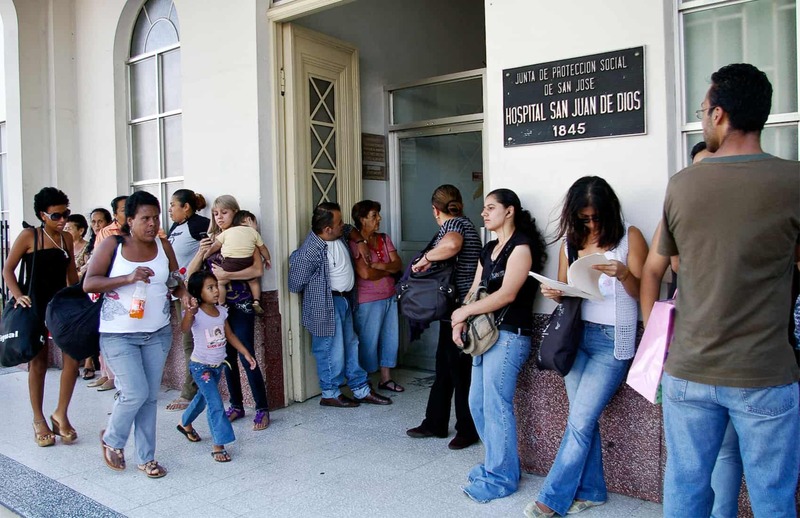 Health officials say the new online system will help reduce the notoriously long lines at Caja hospitals and clinics. Often hundreds of patients must stand in line for hours outside hospitals and EBAIS clinics waiting for an appointment. Some even spend the night on sidewalks and return home with no scheduled date. “Among its main advantages the new system will offer the option to schedule an appointment from home or work, at any time of the day, and to check the availability of times and schedules of each day,” Zamora said. The project adds to other Caja efforts to erradicate long lines at public health facilities, the most recent being an automated phone service that began operating last October. Patients can call a toll-free number: 905-MISALUD or 905-6472583 (English-language assistance available). That system is available at 159 of the Caja’s 1,103 EBAIS clinics for 645,000 patients across the country, representing 15 percent of Caja insurance holders. “Once we are able to extend the system to other hospitals and EBAIS clinics, we expect some two million Caja members throughout the country to use these automated services,” Zamora said. That number includes 180,436 foreign residents who currently have health care coverage with the Caja, according to the “Third Report on Migration and Human Development,” released last April.